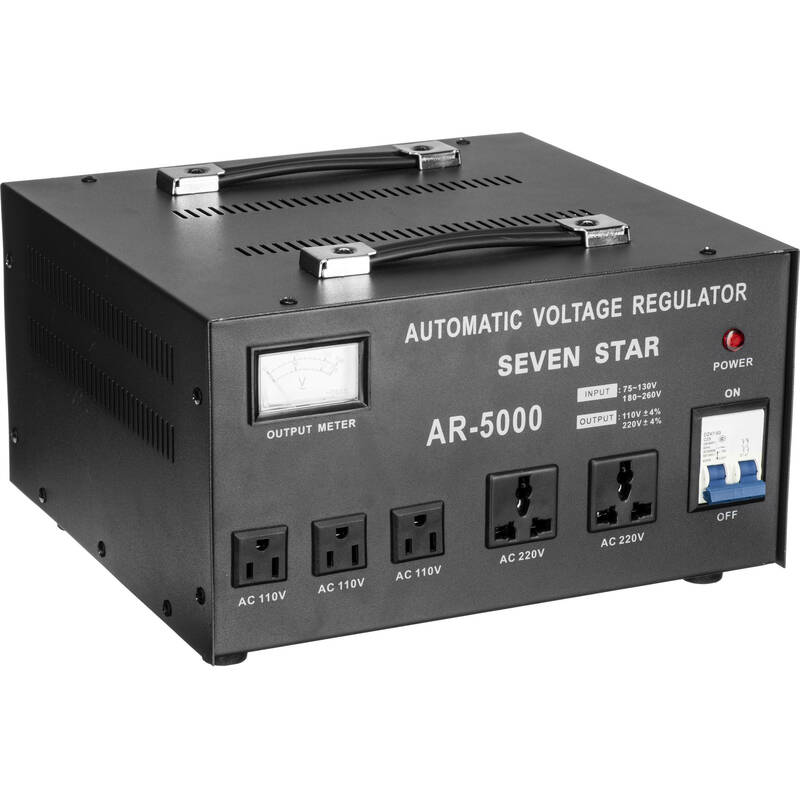 Convert 5000W-rated appliances or small electronics that run on 110/120V to 220/240V or vice versa with the AR-5000 Automatic Voltage Regulator from Sevenstar. This unit features a voltage input selector on the rear of the device and an analog meter on the front that displays the exact amount of output voltage. Regardless of the selected input, all in-range voltage will be regulated. The AR-5000 accommodates both North American three-prong and European two-prong plugs. Its insulated power cord is wired with a European Schuko plug that also works with Asian outlets. A flat-pin adapter plug and two additional fuses are included. Box Dimensions (LxWxH) 14.0 x 14.0 x 9.0"
Need to run GE dryer. 220v30 Amps3000WattsPlease advise. This product would not be recommended for your GE dryer appliance. Itis not designed for a 30 amp device or any heavy motor driven device. can this be plugged into a standard generator, not an inverter based generator? No need to invest in an inverter generator for this transformer. A standard conventional generator should work fine. Will this run a 220v. 4300watt. 30amp espresso machine for 3-4hours? Off a 110v 15amp outlet at a backyard house for a wedding event?